Balance is not a women's issue, it's a business issue. We notice gender-balance’s absence and celebrate its presence in boardrooms, governments, media coverage, and in the tech industry. And, every person, government and company has a part to play in building a gender-balanced world. 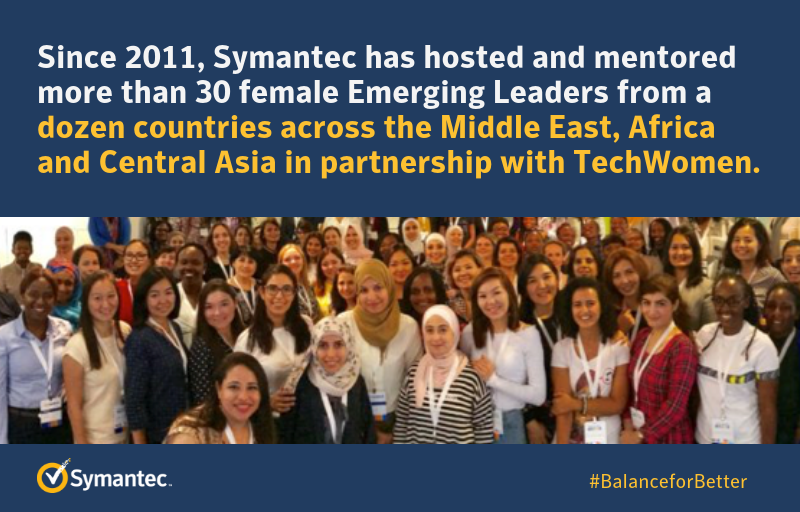 At Symantec, supporting the U.S. State Department’s TechWomen program is one way we work towards #BalanceforBetter. TechWomen connects and supports female “Emerging Leaders” in science, technology, engineering and mathematics (STEM) from Africa, Central and South Asia, and the Middle East.